DJI Mavic Air is whole new offering from DJI its like a hybrid between the DJI Spark and the Mavic Pro. 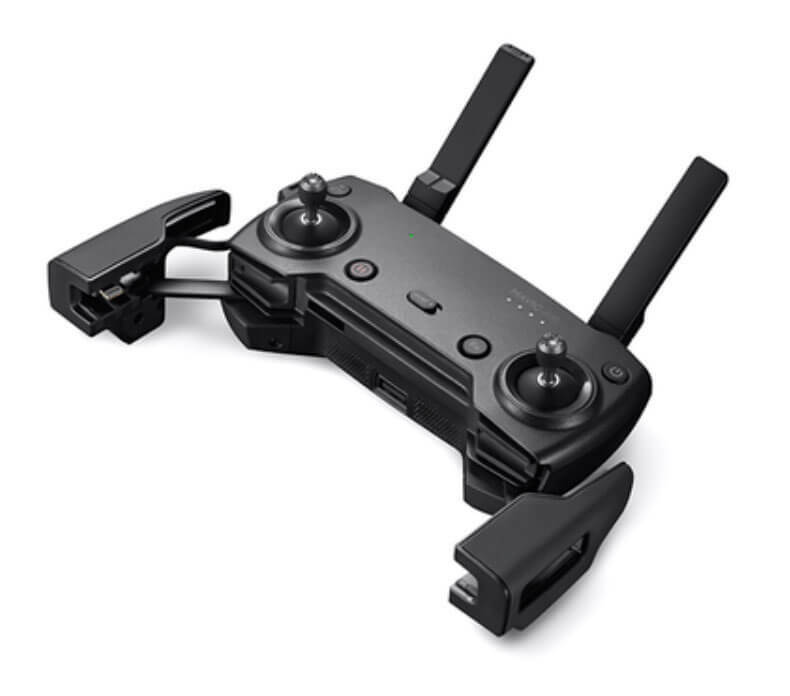 It offers a smaller form factor than the Mavic Pro whilst still retaining some more powerful features that set it apart from the smaller Spark and even bringing some new tech to the table. Mavic Air features the same folding arm design as the Mavic Pro with additional folding landing arms. It comes with a 12-megapixel camera with a 24mm f2.8 lens mounted on a 3-axis gimbal with 4K video capture. It also shoots 120fps 1080p full HD video. It can shoot and stitch multiple high resolution images to create stunning high resolution panoramic images. Mavic Air can also capture HDR images that can really boost colour and image depth. Rather than MicroSD Mavic Air comes with 8gb of built-in storage. It features 21 minute flight time, 6 – 9 minutes less than that Mavic Pro can offer. It features all the flight features of the Mavic Pro including ActiveTrack and boomerang. It builds on the gesture features of the Spark with landing and distance gestures. Although smaller the Mavic Air is more stable in rough conditions and the fastest lightest Mavic to date with 42.5mph (68.4kph) top speed in sports mode. Along with additional obstacle avoidance sensors the new Mavic Air offers APAS (Advanced Pilot Assistance Systems). APAS takes obstacle avoidance to the next level allowing it to plan routes around obstacles on the fly. For the price point the specs of the Mavic Air are very good and it has some nice pluses over the Spark and Mavic Pro. It doesn’t compete with the Mavic Pro in terms of battery life and flight range but it comes with some neat new features that the older drones just don’t have. Scroll down for the official specs, video and click the links below to see the latest prices.